Live in the Spiritual Promised Land — You thought you knew God! In the service of giving a hand-up to the afflicted and hurting by connecting them to the “Hope of this World”, the forgiving savior, Jesus and helping them grow to “know” Him. Terry Graduated from Missouri State University in 1970 and Faith Theological Seminary in 1973. He began inner-city mission work in 1973 at the Bible Rescue Mission on Madison Street, the heart of Chicago’s infamous “skid row” and the Pacific Garden Mission on Chicago’s south side. He has been involved in evangelism and church growth as a missionary over a wide range of fields. His missionary service extended from the inner-cities, to church planting, church rescue, and military installations at home and abroad. In 1997, he founded the High Plains Bible Mission in New Mexico as an outreach to native and inner-city communities. 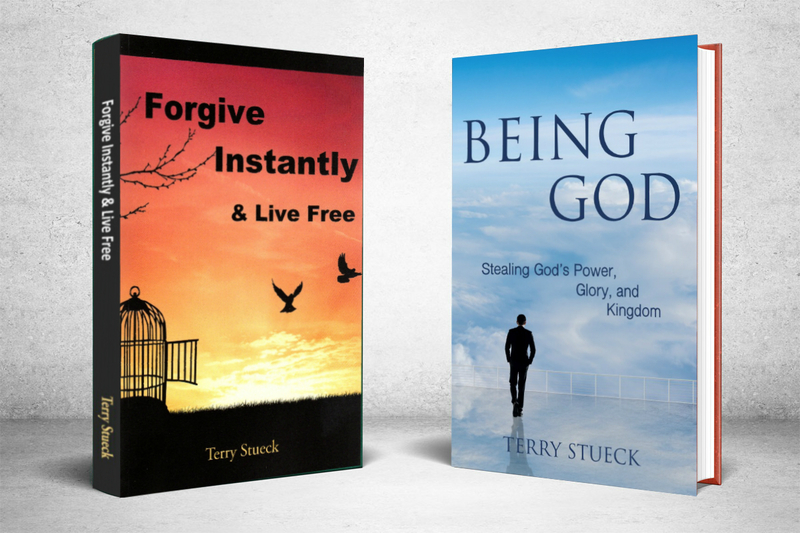 He services as the director of the mission and is the author of Forgive Instantly & Live Free and Being God.